Now any developer can code secure encryption for data at rest... in just 3 lines of code. Dramatically slash the time, costs and difficulty of developing secure applications by never coding a line of crypto. Crypto is hard. But files are easy. 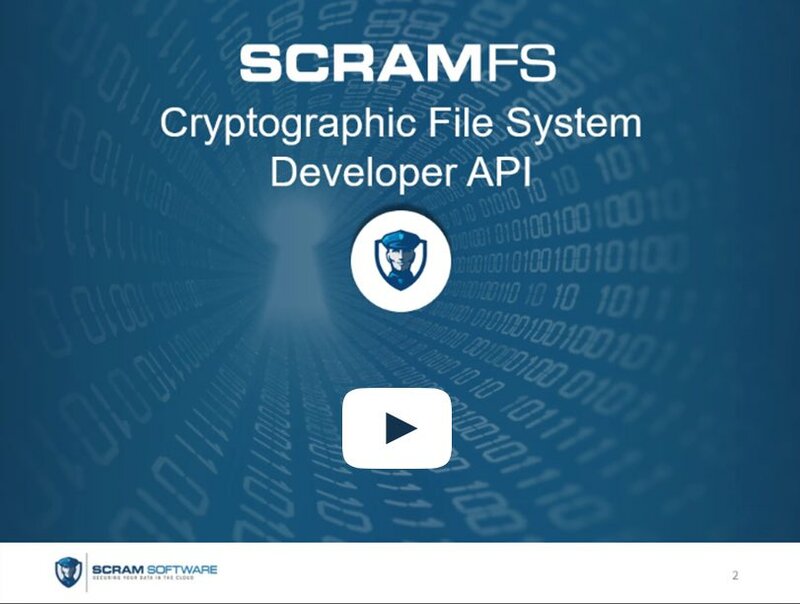 Because the ScramFS API is designed exactly like a file system API, crypto just got dead easy. If you know how to open, read, write and close a file, you can now develop high performance applications with encrypted data storage. Our revolutionary approach allows developers to call simple file system API functions, instead of complicated encryption API functions. ScramFS takes care of the rest. Load and save encrypted data in 3 lines of code. Coding cryptography can be a complete nightmare. The learning curve is huge. Developers have to learn a completely new language, and consider attack and security models. On top of that, it’s extremely easy to make a mistake – and one mistake is all it takes to make a system completely insecure. Especially if you’re running fixed-price development projects, using ScramFS removes a large burden of development from your project, reducing your risk and ultimately helping you make more profit. As of 2017, ScramFS works on Windows, Mac, Linux and Raspbian. Further cross-platform support is expected in the near future, covering Android and iOS. As of 2017, the ScramFS API is available for Python. We plan to release bindings for other languages in the near future. Please contact us to discuss your requirements and see if ScramFS will work for you.